Brian Fanzo is a proud Dad of 3 girls, Pittsburgh Sports Fan, Social Media Geek and Technology Evangelist. Currently he's the Partner and Chief Digital Strategist at Broadsuite helping enterprise technology companies utilize new technology such as Social, Mobile, Analytics and Cloud Computing to be more productive and become more involved in their communities as a social business! Brian's true passion is for teaching change and he focuses on doing this with his actions as well as leveraging social and technology, as he hosts two weekly hangouts,#SbizHour & #CloudTalk as well as a weekly podcast called SMACtalk. His passion for change and people is evident as he delivers keynotes on topics ranging from employee advocacy to social selling to personal branding to his personal social philosophy which he calls #ShowUcare. He was recently awarded the Top 25 Social Business Leaders of 2014 by IBM & The Economist Intelligence Unit. WHAT IS ISOCIALFANZ UP TOO? Tweeting Fast and Talking Faster everyday! Go Big or Go Home! Social Technology Evangelist leading digital change for social businesses 10+ years experience managing, deploying and training enterprises and small business on technology solutions ranging from cyber security, community management, internal collaboration, digital marketing, video conferencing and social business. As a technology and social media strategist I've presented at numerous technology conferences as well as quarterly presentations for the Federal Government Joint Chiefs of Staff as well as on-site in Iraq and Afghanistan for the United States Army. 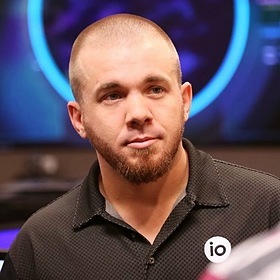 As the technology evangelist at IO I was the face of the company responsible for presenting and engaging both customers and influencers to drive awareness and increase community involvement. I've Architected, deployed and managed Social Business solutions for the Department of Defense, United States Army, Defense Information Systems Agency and Small Businesses. I successfully managed the integration of content development, social media best practices and community engagement to increase social business solution usage from 41% to 72% in less than 3 months! As a successful leader in enterprise software deployment, digital training development and community management I have the unique ability to relate and lead teams of technology subject matter experts to execute on comprehensive business strategies utilizing analytics to prove ROI. Building IO.OS(R) Product/Technology Expertise Designing and delivering interactive role-based IO.OS certification training courses for IO employees, customers & ecosystem partners. Built IO.OS(R) Product/Technology Training department responsible for developing enterprise software courses, designing the marketing and sales campaigns and managing the deliverables. Integrated myself into the product management and maker tint teams allowing me to drive changes to the product by incorporating feedback from IO employees, customers & ecosystem partners. Developing new ways to increase productivity and educate both our employees and customers so they can change the way they purchase, manage & implement datacenter infrastructure. Responsible for program design, development, and implementation while working with subject matter experts, engineers, and project leaders to increase productivity through classroom training, eLearning, live web streaming as well as implementing emerging technologies within IO. -Managed multiple teams of remote subject matter experts responsible for developing, managing and implementing a cyber security catalog that included the live fire Cyber range training supporting DISA. o Managed a training and development budget including travel costs, classroom location, equipment, shipping, employee burn rate while also developing a project scope for all training deliverables. o Head trainer and deployment lead for CONUS and OCONUS classroom training supporting HBSS, SCCVI, and SCRI contracts. o Trained and mentored new team members which included help desk personal as well as secure systems engineers and product leads. o Provided Remediation and Vulnerability support for network administrators in the DOD environment worldwide. Support included hands on troubleshooting using lab equipment to replicate users' environment in addition to providing step by step illustrations for the customer using WebEx software. o Developed and maintained the help desk knowledge base using SharePoint software. o Supported customers through email and phone calls with the goal of one call resolution Using remedy software to track, maintain and update customer's tickets. Driving innovation development, product strategy and community awareness of IO as a brand by utilizing social business, social media, community engagement, blogs and proof of concept demonstrations. Responsible for digital strategy and data integration across marketing, sales and innovation departments focusing on increasing collaboration, productivity and digital content creation. Focused on creating content, product demonstrations, keynote presentations at conferences and driving the overall strategy for both internal and external communication. Developed a Social Intelligence sales enablement plan to drive marketing strategies and integrate into the sales cycle providing competitive intelligence using social media, digital analytics, analyst relations and customer engagement. Architecting and building strategies to increase collaboration and implement Jive Software, BoxHQ, Marketo, Traackr, Microsoft Dynamics, Nimble Social CRM, 15Five, Asana, Basecamp and Service Now.